Based on the standard DFT (Department for Transport) specification for road and railway construction. There are several considerations to make when choosing suitable species for sites such as a Railway Embankment, Bank or Roadside Verge . The establishing turf must have the ability to quickly knit together and stabilise the soil surface. There is a need to be drought resistant due to the natural free draining habit of raised areas, particularly on lighter soil types. The grasses must also be tolerant of roadside winter salt spray and require very little management once established. Spring or autumn sowing is highly recommended as this allows the maximum time for roots of the new seedlings to develop and some good leaf growth to take place before the onset of drier or colder weather. 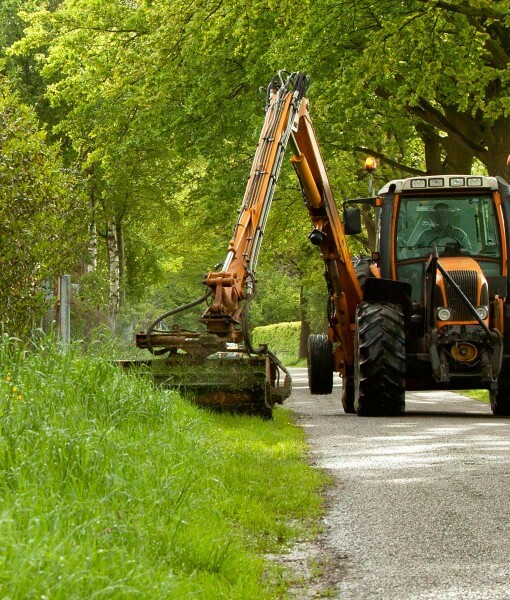 Topping the area during the establishment year reduces the burden of unwanted weeds and encourages some spreading or tillering of the grasses. Cutting may be reduced to 1- 2 times a year from then on if so required. Finally, use a light to medium weight flat roller to squeeze the seeds and tilth down into the seedbed.This method ensures the amenity grass seeds are evenly spread, set at different depths and in good contact with the soil. All of which helps to anchor the seeds in position so as not to float away during heavy or persistant rainfall and to retain the correct moisture level for quicker germination.